Some people just HAVE to create. These people create art, entertainment, provocative writing, or businesses. 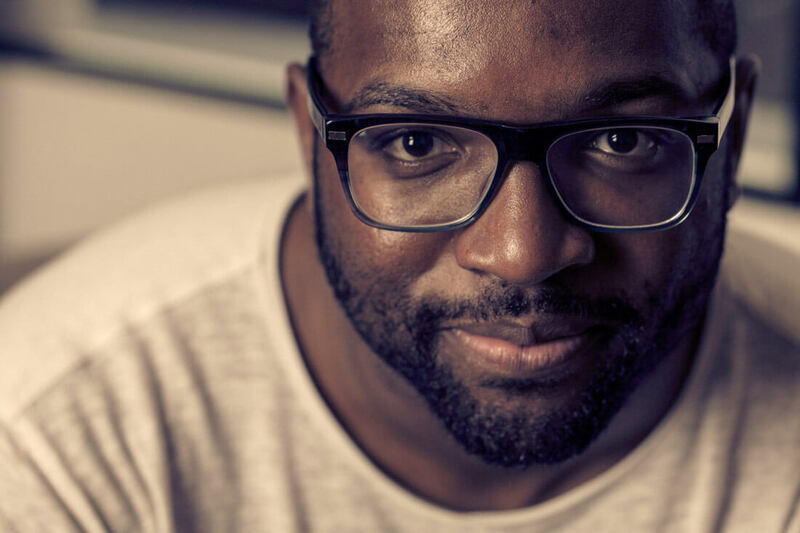 This week, I spoke to Baratunde Thurston, who has managed to do all of that and more. Many know Baratunde from his role as Director of Digital for The Onion, where he once made a cameo in a piece about Barack Obama’s Billy Carteresque half-brother. Baratunde recently departed satirical newspaper to start, with two Co-Founders, Cultivated Wit. Cultivated Wit is a digital consultancy of sorts, which puts brands in touch with talented writers to create new digital experiences online. Karen: A lot of people might not understand why you would make the leap from one of the most beloved places on the internet to your own start-up. Can you explain what made you take the leap? Baratunde: I’ve been entrepreneurial all of my life. In fact, my first real business was when Windows 3.0 came out, I would work for my mom’s friends, making flyers, brochures, because at the time, Word was like Indesign today. I took advantage of the fact that I understood it and they didn’t and I did a lot of favours, and some business. I also sold stuff in High School. I sold waterguns illicitly. That was one of my best businesses. It was a high margin, but risky business. I sold animal shaped water pistols. I also sold verb conjugation tables. I helped my fellow Spanish students with obscure conjugations. All of these businesses in some way took advantage of a digital component. They all made life easier, and they all had some creativity around them. When I went to college, I thought I would be a computer science major. That didn’t happen. I took a few CS classes, and then I became a philosophy major. When I left school, I thought I would be a journalist. I had written for our school paper. I thought I was going to be a teacher; I was going to go to grad school. Instead, I went into a tech-oriented consulting business in Boston. It was focused on telecoms and the internet. I left that job after a year to start a business. That was my first adult foray into the world of entrepreneurship, and it was a miserable failure. I started it with 2 friends. I was just out of college, and they were still there. We decided to start a venture capital company. In the summer of 2000, which was the worst possible time for young people to do such a thing, because that is when the bubble burst. On the first day, one of my partners quit. We were scrimping. I took on a ton of debt to try to finance it. I learned a lot, but a year later, I went back to the consulting world. My job at the Onion involved a lot of creativity as well as tech and I learned a lot while I was there. I learned how to build things. I learned how to assemble and manage teams. I learned how to experiment. We built fake businesses for SXSW. We live hate-tweeted the Twilight movies. We tried anything and anything to build the audience and engagement for the Onion. The origin of Cultivated Wit is born out of all of those experiences. The heart of it is this intersection of digital opportunities and creativity. Karen: Your keynote at South by Southwest focused on the politically transformative power of comedy. It seems like that has directly informed Cultivated Wit. Would you agree? Baratunde: Absolutely. Humour is a great gateway to our humanity. It reminds us that we’re people, that we have emotions, and a language that we can use to connect to each other across lines, whether they are political, or cultural. I wouldn’t say the business is purely political, but using what we’ve learned to push those buttons on people and open their minds a little. I’ll give you one example: I wrote this book (How to be Black) and the way we rolled it out was also very digital. We built a virtual street team, I wrote a lot of the book online using screen sharing technologies, we built a tumblr for the book to have an ongoing conversation with the readers, to have an ongoing conversation with readers. There’s another product we’re working on which touches on what you just mentioned which is a location-based racism app. The idea was born out of two things. One was Foursquare, and their local search feature, which they call explore, and using that search to find something you would not like to find in your area: racism! Karen: In the course of interviewing many tech personalities, I’ve found a lot of them talk the way comedians do about their craft. Since you’re both, can you tell us if there are similarities between founders and comedians? There are ways of thinking about the iterative process of joke writing for stand up which is about “releasing early and often” which is consistent with start-up mentality, and is a founder’s obsession. But it goes deeper. Whether you’re a founder or comedian, you’ve got to have some kind of vision. You’ve got to have focus, and a point of view. You’ve got to be relevant, and you’ve got to balance what the audience wants with what you want. Karen: How important is having the right team? Baratunde: Our team is really siloed in our skill set. There’s not much duplication among us. I think it works best that way. Baratunde: There’s a lot of annoying little things you have to do when you start a business, like paperwork and process, and I hate it. Banking has been a huge headache. Our bank’s business accounts don’t work with their iPhone app, and it’s a huge headache. You have these big ideas, and these grandiose plans, and all of that can be stopped by these dumb things. We also haven’t taken money from anyone. It has been offered, but there’s still an open question as to whether we will. There is a cost to that. Not knowing how big this will be, never having dealt with investors and board meetings, there’s a different level of pressure and influence on what [Cultivated Wit] could be. It’s not just a win to take a cheque from someone. There’s definitely a price to be paid for having someone pay you. We decided to go down the path of self-funding and how we did that was through consulting. The world of consulting is SO SLOW, and so irritating. I consulted before for six years, but didn’t have to participate in the politicking and the glad handing. Karen: How did you know you were on to something? Karen: What’s your advice to others starting out on their own? Baratunde: Be very clear with your team about expectations; who does what, who’s responsible, how credit accrues, right up front. Once you are very clear on everyone’s skills, and what they want to do, you will see gaps. You can fill in those gaps with other people. In a similar spirit, be actively conscious of who you’re working with and why. Be willing to change what you’re doing. It’s not the most original advice, but it’s true.